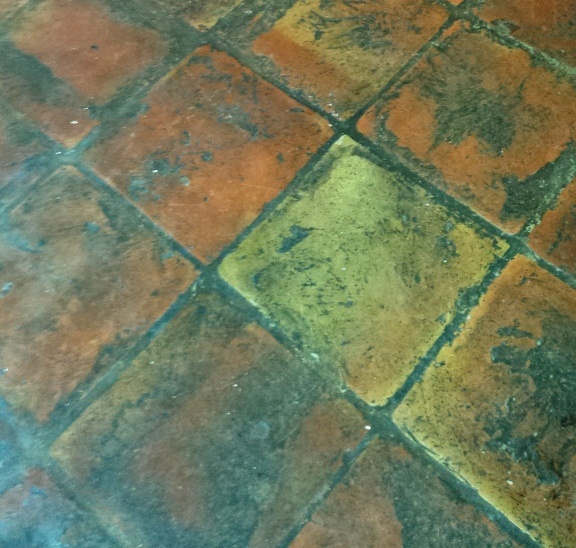 We were asked to restore the Terracotta tiled floor at an old cottage in the village of Wing which was way overdue for a good deep clean and re-seal. In fact the tiles were so dirty they were black in some areas, which you can see for yourself in the photograph below. Fortunately this sort of work is bread and butter to a Tile Doctor and the process is relatively straight forward. The first job was to apply a reasonably strong dilution of Tile Doctor Pro-Clean which is an industrial strength alkaline Tile Cleaning product that is safe to use on Tile, Stone and Grout. This was left to dwell on the tile for a while and then scrubbed into using a rotary machine fitted with a black scrubbing pad, a stiff hand brush was used on the grout where the scrubbing pad struggled to reach. The next step was to wash the floor using a Rotovac machine which applies water at a high pressure and also removes it to a storage tank using it’s built in vacuum. This finishes off the cleaning process and also washes the floor down with clean water to remove any remaining cleaning solution and neutralise the tile to remove any trace of cleaning chemical before sealing. 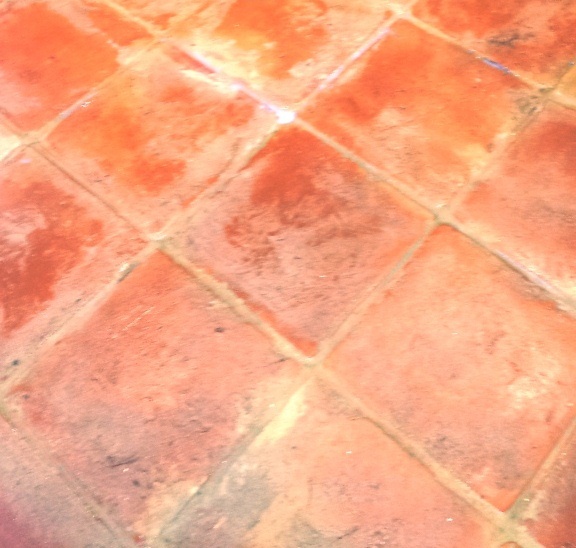 The floor was left to dry overnight and when we returned the next day when the floor was completely dry to seal using seven coats of Tile Doctor Seal and Go which works well on Terracotta providing on-going stain protection as well as adding a nice shine to the tile. As you can see the floor cleaned up really well and now looks like a Terracotta floor should.